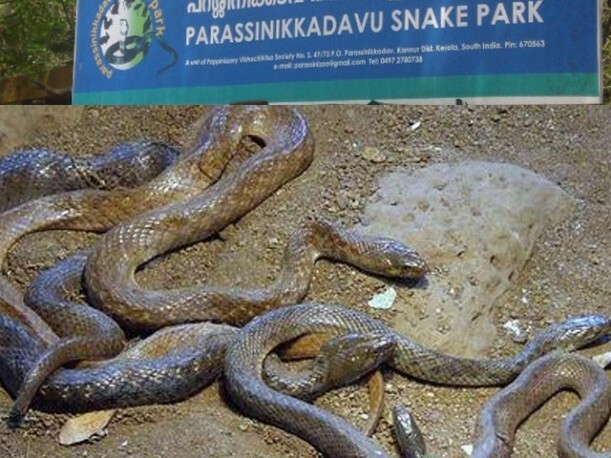 Parassinkkadavu Snake Park & Mini Zoo is located in Anthoor Municipality, around 16 km from Kannur in Kerala. This park houses a variety of large collection of snakes including Cobra, Pythons, Viper as well as Krait. This park acts as a medium for the preservation and conservation of snakes. This can prevent the extinction of snake species. There is also a Snake Bite Treatment Center in Pappinisseri at Kannur, which was started in the year 1964.